Sometimes when clients pick up pieces that I refinished for them they will drop off little decor items such as candle sticks, picture frames, mirrors and the like. Sometimes I will get bigger items like interior doors, lamps and in this case cute garden chairs. My client picked out her colors and it was a simple request of a solid refinish. The chairs had been used outside for quite sometime and needed to be sanded down to get rid of the old chippy finish. Refinished in a happy bright yellow and orange, these gals are ready to not only look great in my client’s garden area but have a lasting finish for outside durability. Oh my goodness! Have you heard of The Chippy Barn? 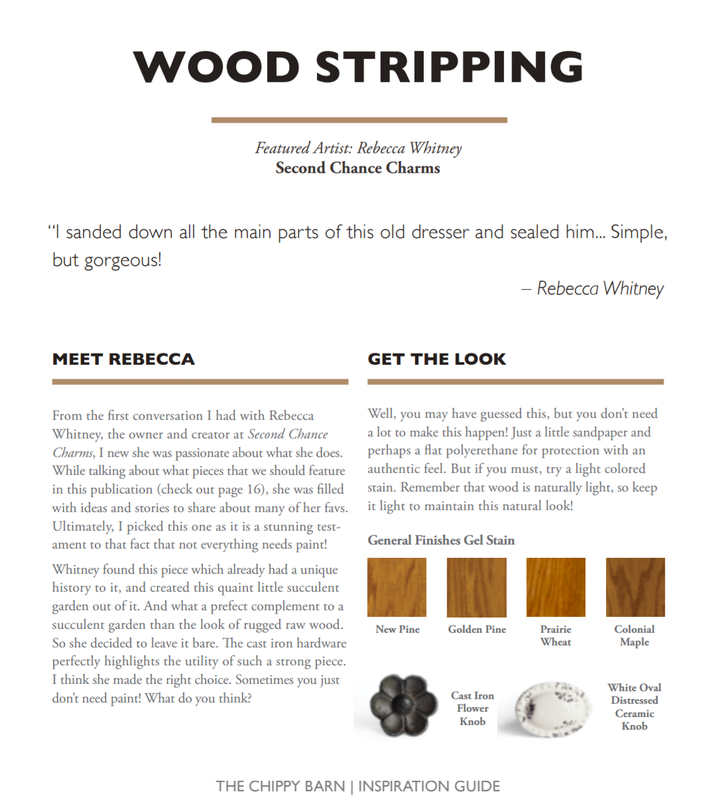 If you are a Do-It-Yourself kinda gal/guy, you will want to check this out! The ultimate industry newsletter sending out monthly inspiration. 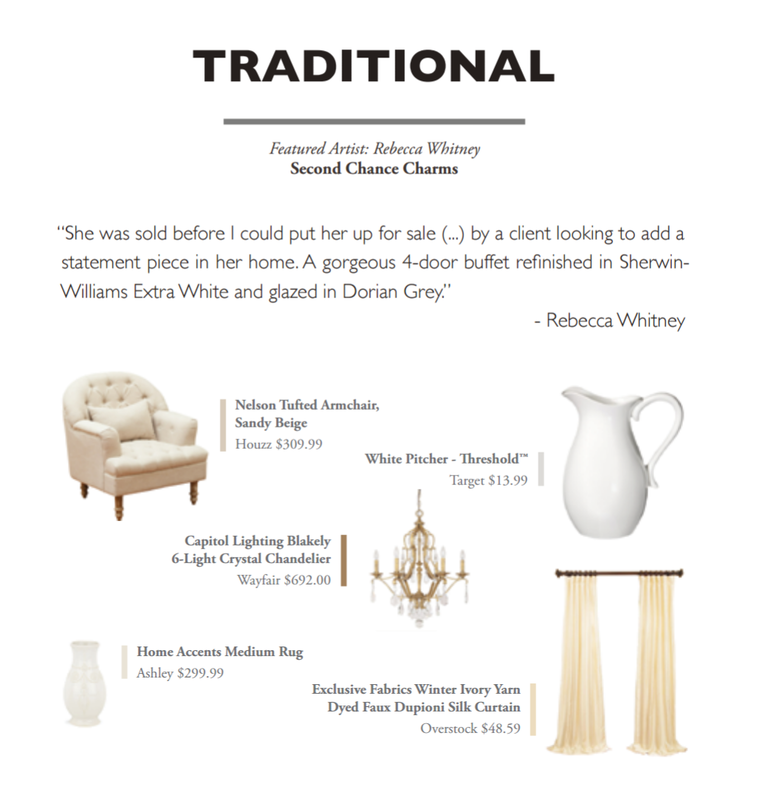 And I am featured in 2016’s Fall Guide! 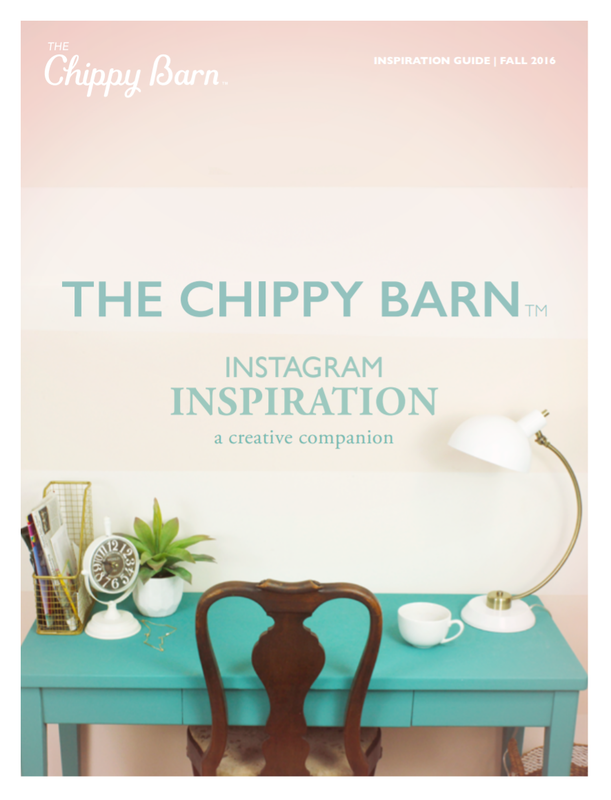 The FIRST EVER Chippy Barn Inspiration Guide is out and two of my pieces are featured in it!! 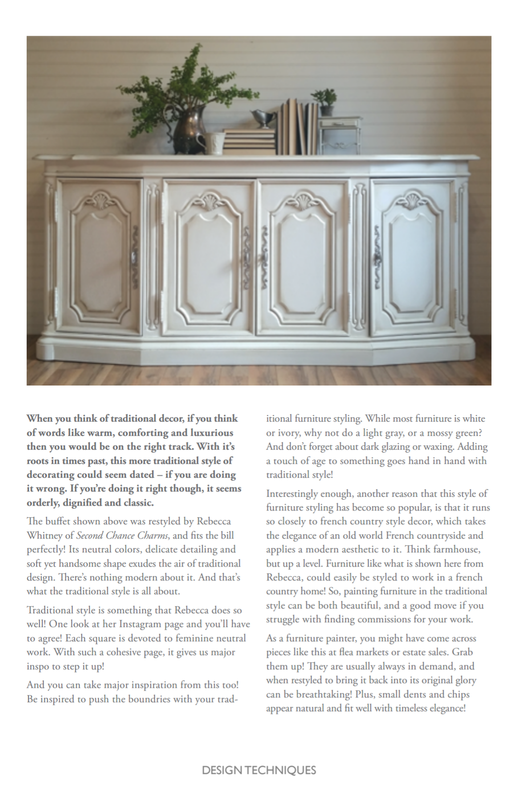 Subscribe to their newsletter and you will receive your own free online copy of the guide filled with lots of beautiful furniture pieces by some very talented artist. Featuring 15 Instagram influences and artist, 48 pages that are jam-packed with amazing content. Click on the link to be taken to the site to sign up for your FREE guide! Click on The Chippy Barn!! My first piece featured is of a buffet I refinished back in August and it so happened to be the 100th piece I refinished year to date for 2016!! 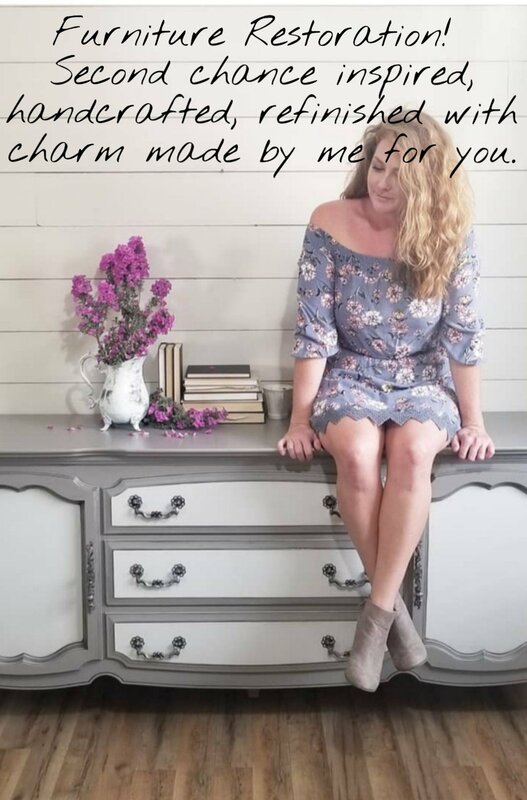 You can read all about her story here at Gorgeous Traditional Buffet. 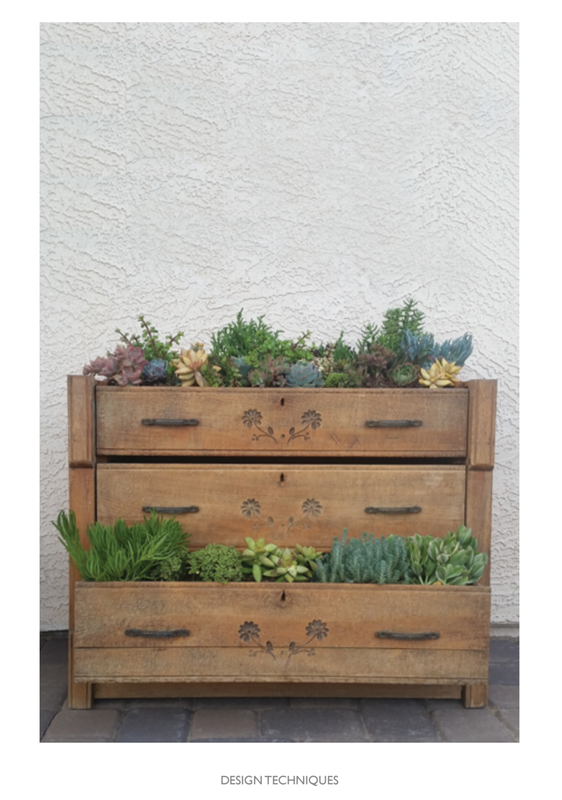 They also included my personal Succulent Garden! You can read his debut here at Succulent Garden. I cant even handle this right now!!! A huge thank you to The Chippy Barn team for including me in such an inspirational tool! I do hope you check The Chippy Barn out for some intense lovely DIY ideas! Enjoy! !